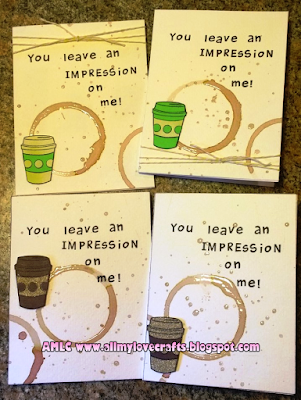 All My Love Crafts: Summer Coffee Lovers Bloghop Starts Today! 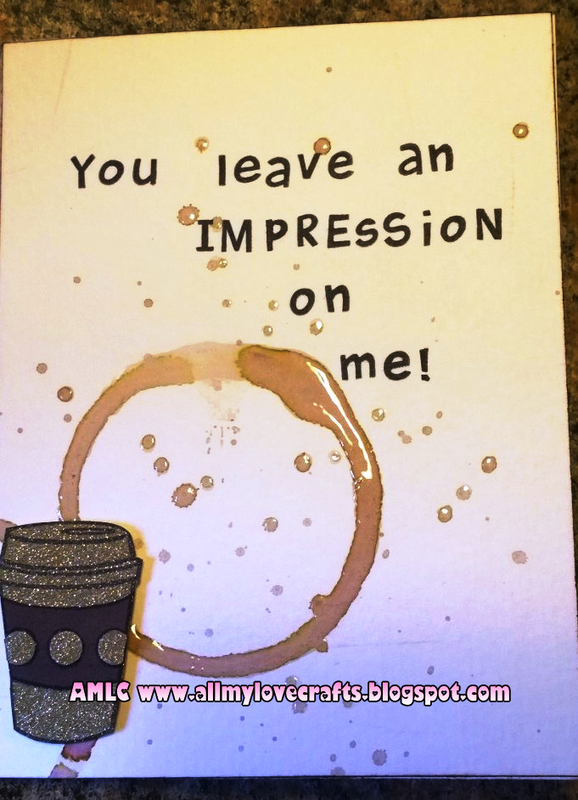 Today marks the start of the Summer Coffee Lovers Bloghop! The spring hop was a ton of fun and I hope you will join me again for this one. It starts today (June 5th, 2015) and ends June 12th at midnight Pacific Time. Another blog hop starting today is hosted by Pretty Pink Posh! Visit them to see some wonderful watercolor inspiration until Monday June 8th! Today's card was inspired by an accident...yes, you guessed it...I spilled coffee on a piece of card stock! 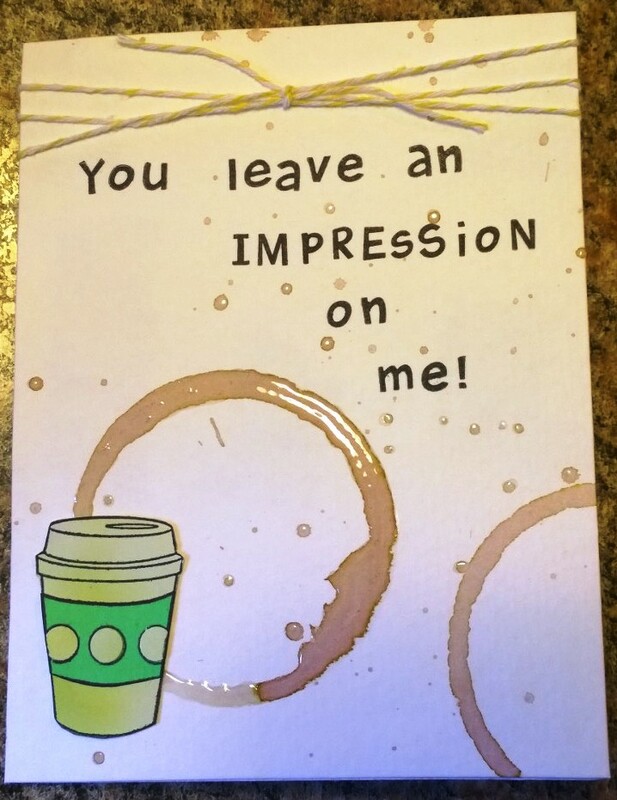 Fortunately, it was just a little spill on one small piece of paper, but I loved the impression left behind from the bottom of my mug. To replicate this look, I put some Distress Ink in Walnut Stain on a small plate, added a little bit of water to mix, and dipped the bottom of my mug into the watered-down ink and onto a piece of watercolor paper. 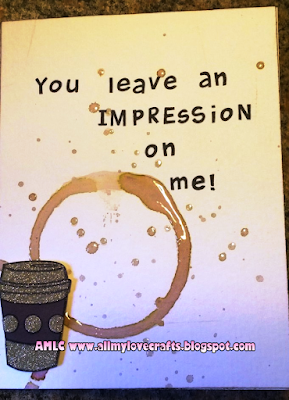 Had to have a sentiment and this one came to mind while leaving "impressions" on the watercolor paper! The latte cups were paper pieced using up small scraps of cardstock I had leftover from other projects.